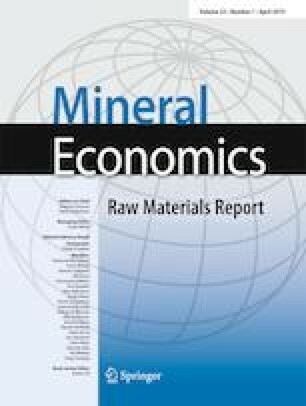 This paper focuses on the economic fortunes of the Chilean lithium industry over the past three decades and considers its likely future directions. When SQM commissioned its brine extraction facilities in the Salar de Atacama in 1995, joining the already established SCL (operating since 1984), Chile emerged as the world’s leading lithium producer. It retained this position until 2013 when Australian production surpassed it. Chile, Australia and Argentina now dominate the early stages of the lithium industry. Four multinational companies—Albemarle, SQM, FMC Corporation and Tianqi Lithium—accounted for more than 83% of world lithium output in 2016. These firms appear to exert considerable market power. Against this background, we outline and assess recent developments in the Chilean lithium sector, noting that the second Bachelet government (in office from 2014 to early 2018) convened a year-long National Lithium Commission in 2014. The members of this group suggested strategies to maintain and enhance Chile’s competitive advantage in the lithium sector. The final section considers the implementation of these in the light of the election of the second Piñera administration which took office in March 2018. The online version of this article ( https://doi.org/10.1007/s13563-019-00181-8) contains supplementary material, which is available to authorized users. The authors wish to acknowledge the contribution and inspiration of our late colleague and good friend, Christian Moscoso Wallace from Universidad de Chile, in developing our interest in this field.